Apartments that combine the benefits of on-campus housing with the comforts of apartment living. For more pictures of University Court Apartments, visit our Flickr. 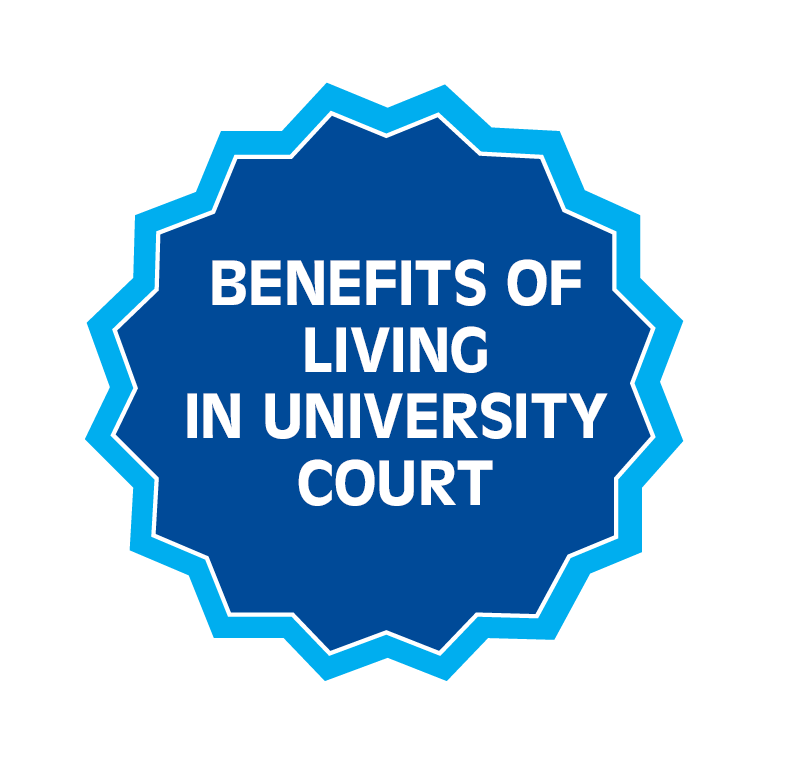 University Court is financial aid friendly as all of our billing is done through your student account. Click here to schedule a tour. If you have any questions call or email the University Court Office! All apartments contain a desk and chair, couch, lounge chair, two end tables, two lamps, night stand (one per bedroom), dresser (one per roommate), mattress and metal bed frame, electric stove with oven, refrigerator, sink, dining table, four dining chairs and ample closet space.